It’s the great Pumpkin! Charlie Brown will be uttered by many kids and adults at the Orange County History Center in Downtown Orlando on Saturday, October 27th, 2012 as the history center present a Peanuts Halloween Trick-or-Treat event for children from 11am until 4pm. 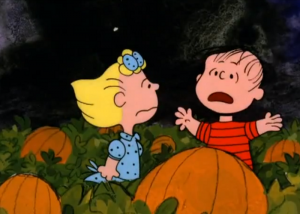 The Halloween event at the history center will present three floors of trick or treating and pumpkin decorating in the pumpkin patch made so famous by the Peanuts character Linus along with creepy crafts, candy, and a scavenger hunt. The special event is a highlight of a special Peanuts exhibit that will be at the history center starting on September 29th, 2012 that continues through December 31st, 2012 that you will be able to visit during the holidays. Children 12 years and younger are free for the Peanuts Halloween Trick-or-Treat event on October 27th, 2012 with an accompanying adult. Please call 407-836-7010 for information.